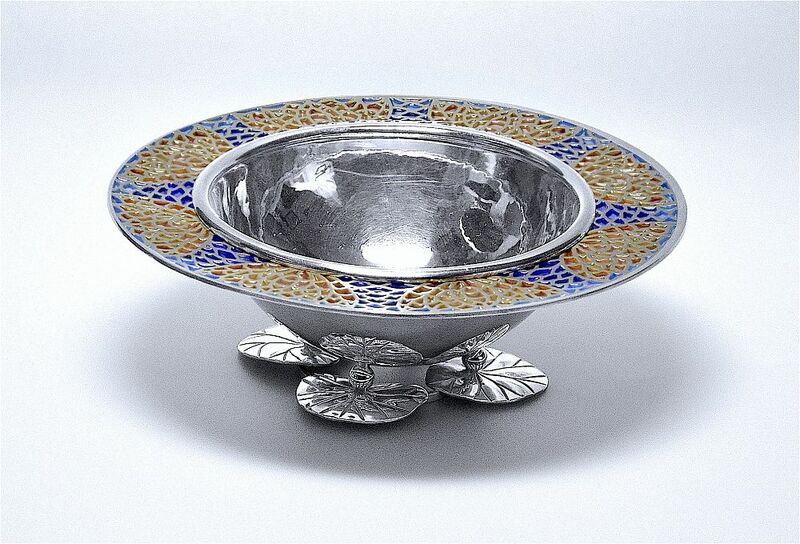 This beautiful silver & plique a jour bowl was made by Jean Wilkinson in 2010. 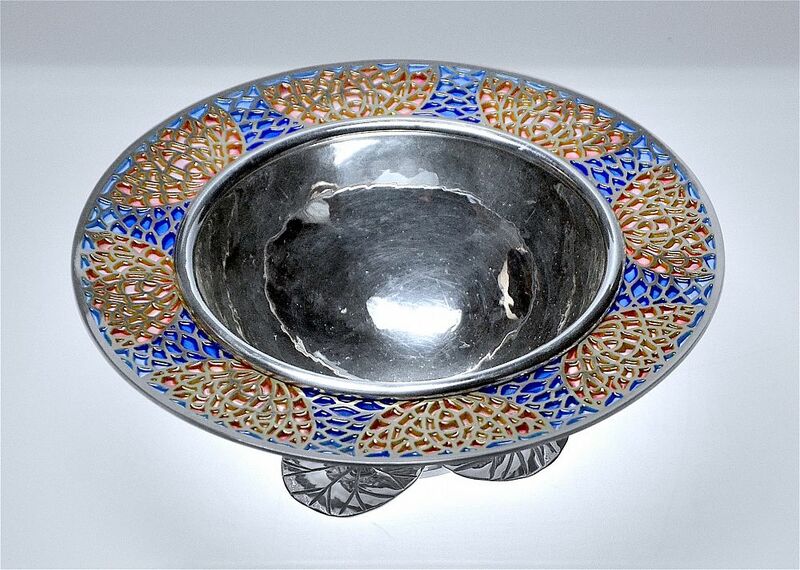 Known as "Water Lily" it has four silver water lily pad feet below a deep plenished silver bowl with a wide flat rim decorated with 8 shaded pink plique a jour water lilies separated by 8 panels of blue plique a jour that shades from cobalt to pale blue. 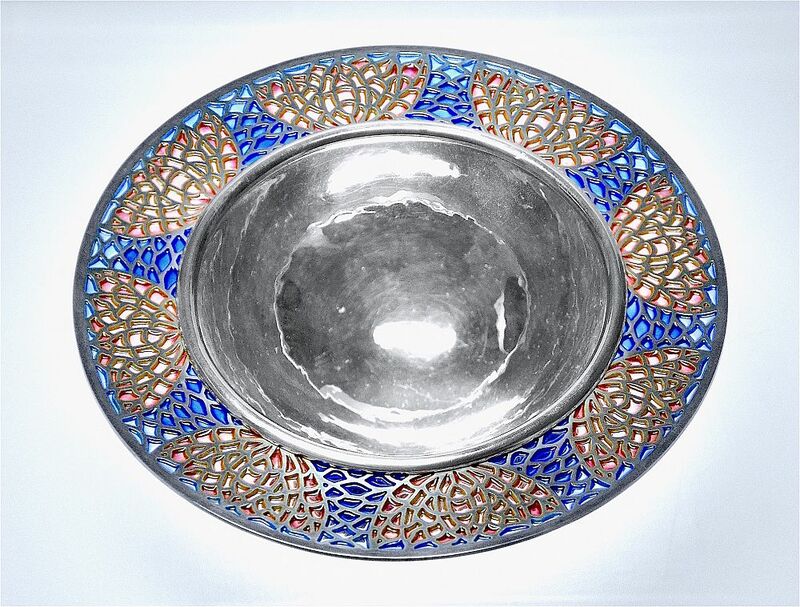 The underside of the bowl is hallmarked by the London Assay Office for silver, 2010 & bears the sponor's mark "JW" for Jean Wilkinson. This piece won an award in the Enamellers section at the 2011 Goldsmiths Craft & Design Awards. In addition to being a beautiful thing to own that will give hours of pleasure, this is an antique of the future.